Sink back in the comfort of Kiawah Island Golf Resort’s Sanctuary Lobby Bar—an intimate space reminiscent of a parlor in a gracious Southern mansion from a bygone era. The menu features an extensive offering of specialty cocktails, wines, beer, spirits and light fare. Plus, Friday and Saturday nights feature live piano music for your entertainment. 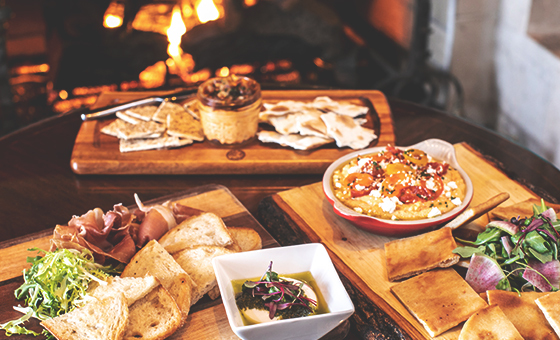 The Lobby Bar’s menu offerings include a variety of small plates, salads and handhelds including favorites such as, pimento cheese dip, roasted red pepper hummus, and the burrata cheese and Tennessee cured ham. I almost always make a stop here when on Kiawah. I love the atmosphere and sheer beauty of the hotel and environment. There are cheaper watering holes but none with this ambiance.